In this article is a list of Linux commands, tools, clever little tricks, and some plain fun commands. Just so that the commands above make sense, look at the next line of text. As you can see there is a spelling error, and for the command to work, we would need to change "intall" to "install". Imagine the cursor is at the end of the line. There are various ways to get back to the word install to change it. Now you could press the cursor key and insert the ''s' into "install". Another useful command is Shift + Insert, especially If you need to copy text from a browser into the terminal. You are going to really thank us for the next command if you don't already know it because until you know this exists, you curse yourself every time you enter a command and the words Permission denied appear. The words Permission denied will appear unless you are logged in with elevated privileges. You can run terminal commands in the background. Halfway through typing text into the file, you realize that you quickly want to type another command into the terminal but you can't because you opened nano in foreground mode. All you have to do is press CTRL + Z and the foreground application will pause and you will be returned to the command line. You can then run any command you like and when you have finished, return to your previously paused session by entering fg into the terminal window and pressing return. An interesting thing to try out is to open a file in nano, enter some text, and pause the session. Now open another file in nano, enter some text, and pause the session. If you now enter fg, you return to the second file you opened in nano. If you exit nano and enter fg again, you return to the first file you opened within nano. Imagine you are logged on to another computer remotely using ssh and you want to run a command that takes a long time and then exit the ssh session but leave the command running even though you are no longer connected, then nohup lets you do just that. For instance, you can use a Raspberry PI to download distributions for review purposes. Connect to the Raspberry PI via ssh from a laptop. If you started downloading a large file on the Raspberry PI without using the nohup command, then you would have to wait for the download to finish before logging off the ssh session and before shutting down the laptop. If you did this, then you may as well have not used the Raspberry PI to download the file at all. 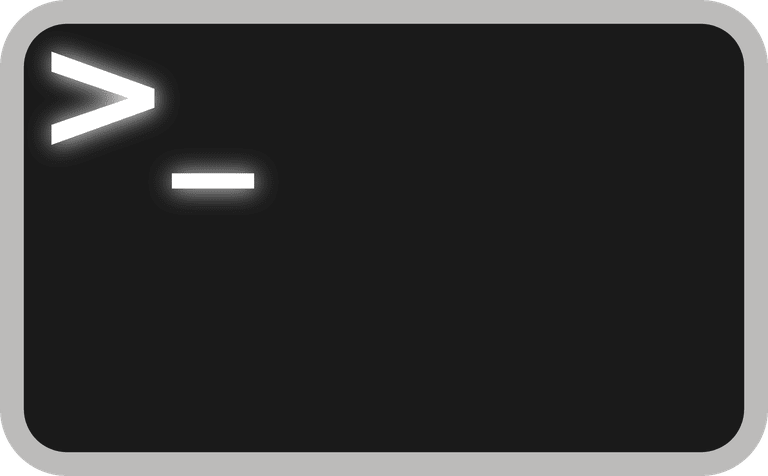 The nohup command is good if you are connected to an ssh server and you want the command to remain running after logging out of the ssh session. The at command allows you to do just that. 'at' can be used as follows. The above command will run the program cowsay at 10:38 p.m. on Friday evening. The syntax is at followed by the date and time to run. When the at> prompt appears, enter the command you want to run at the specified time. There are lots of different date and time formats and it is worth checking the man pages for more ways to use at. The man pages are kind of dull on their own. (Guess they weren't designed to excite us). You can, however, do things to make your usage of man more appealing. You will need to install most; for this to work but when you do, it makes your man pages more colorful. Which command do you currently use to find out which processes are running on your computer? Our bet is that you are using ps and that you are using various switches to get the output you desire. htop provides a list of all running processes in the terminal, much like the file manager in Windows. If htop is immensely useful for controlling the processes running via the command line, then ranger is immensely useful for navigating the file system using the command line. The command line window will be much like any other file manager, but it works left to right rather than top to bottom, meaning that if you use the left arrow key, you work your way up the folder structure and the right arrow key works down the folder structure. Note that if the shutdown has already started, then it may be too late to stop the shutdown. Imagine you are running an application and for whatever reason, it hangs. You could use ps -ef to find the process and then kill the process, or you could use htop. This will restart your computer without having to hold the power button. Generally speaking, most of us are quite happy for Youtube to host the videos and we watch them by streaming them through our chosen media player. If you know you are going to be offline for a while (i.e. due to a plane journey or traveling between the south of Scotland and the north of England), then you may wish to download a few videos onto a pen drive and watch them at your leisure. You can get the URL to any video on Youtube by clicking the share link on the video's page. Simply copy the link and paste it into the command line (using the Shift + Insert shortcut). Downloading a single file doesn't seem worth it; you could easily just navigate to the web page using a browser and click the link. If, however, you want to download a dozen files, then being able to add the links to an import file and use wget to download the files from those links will be much quicker. This one isn't so much useful as a bit of fun. Another one that isn't particularly useful but just a bit of fun is the fortune command. Like the sl command, you might need to install it from your repository first. Finally, get a cow to tell you your fortune using cowsay. We hope that you found this list useful and that you are thinking "I didn't know you could do that" for at least 1 of the 15 items listed.